Popheaval: Röyksopp & Robyn share new music video for "Sayit"
Röyksopp & Robyn share new music video for "Sayit"
Röyksopp and Robyn's collaborative EP Do It Again will be out in less than a week (the release date is May 26) and here's another song from the record, this one's called "Sayit". The glitchy, pulsating track is accompanied by a bizarre music video that mostly resembles a nightmare of a crystal meth addict - in a good way, I suppose. It's an odd track, barely even featuring Robyn's vocals, apart from the occasional monotonous chanting of the words "I. Want. You." so I hope there's more balance between the two artists on the other songs. It's quite creepy overall, in a strangely fascinating way though. It's not as infectious as "Do It Again" and the magical one-and-a-half minute snippet of "Monument" sounds infinitely better than this but it's still an interesting listen. The EP is shaping out to be a delightfully complex, almost kaleidoscopic take on cold and distorted Scandinavian melancholy, set to an electronic, synth-laden backdrop. 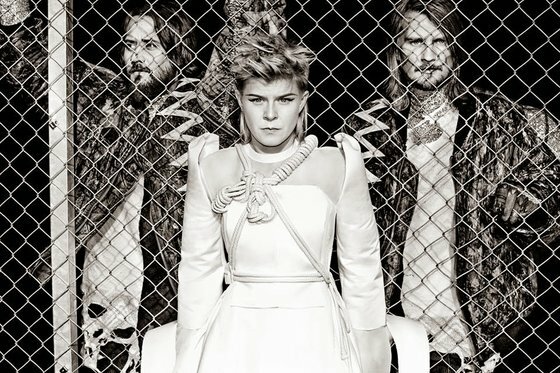 And don't forget, Röyksopp & Robyn are about to embark on a tour in Europe and North America so head over to their website to check out if they're coming anywhere near you!